^ If you cover your boat with a canvas tarp, prevent mildew and dry rot by allowing air to circulate under the cover. Do not cover your boat before it has dried. Do not use a nylon tarp, because it will trap moisture. ^ If your engine has an "open" cooling system, such as an outboard, flush it with fresh water before storage. ^ If your engine has a "closed" cooling system, check the level of antifreeze and fill the system if necessary. ^ Prevent water from collecting in the gas tank by filling the tank with gas. Add a gasoline stabilizer to prevent gum from forming. ^ Follow the manufacturer's instructions for protecting your engine from winter weather. Wipe all metal surfaces with a lightly oiled rag. ^ Repack the trailer's bearings if necessary and rinse the trailer with fresh water. 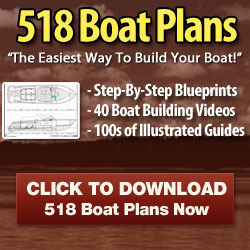 ^ Remove the drain plug before you store the boat. ^ If the trailer will be stored outside, cover the wheels to prevent sunlight from damaging the tires. fill with water and sink. the owner's driver's license number. It is important to check on your boat several times throughout the winter, especially after severe storms.